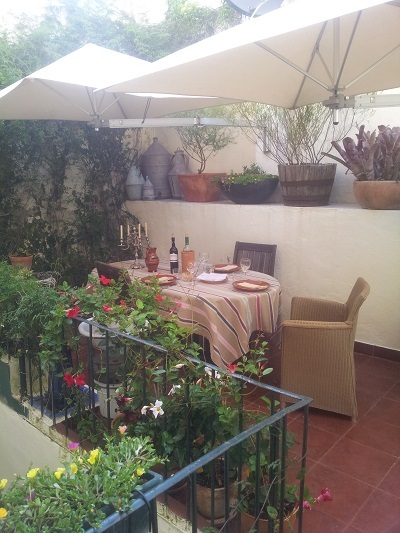 Mouraria is a very old neighborhoud with narrow streets where big tourist buses cannot get through. 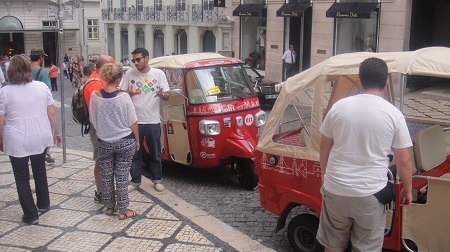 ‘Do you like to Tuk-Tuk with me’ ? 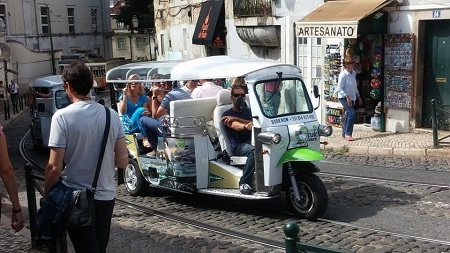 Voulez-vous Tuk-Tuk avec moi? 😉 I saw a car with a led display using this text in several languages. 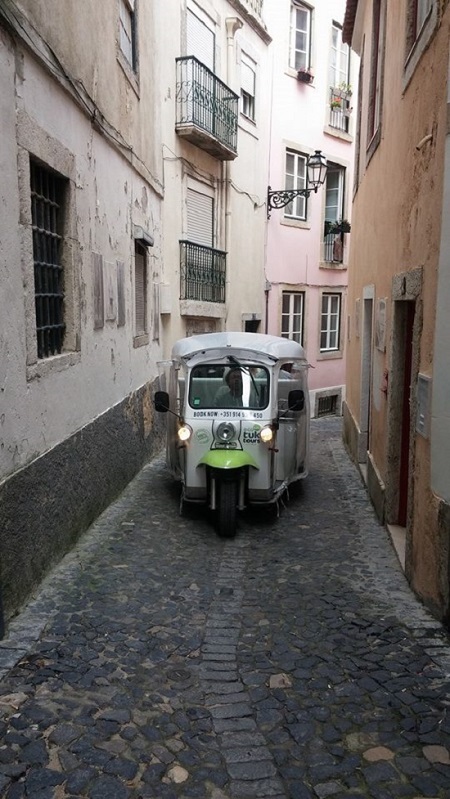 These little Tuk Tuk vehicles are most ideal for short trips and sightseeing and capable to drive through the small streets in the ancient historical neighborhoods of Lisbon like Alfama and Mouraria. 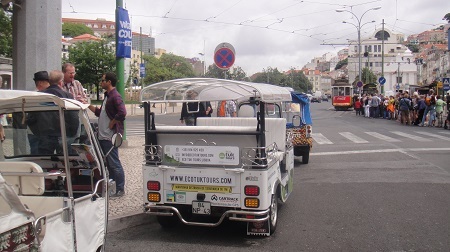 Nowadays several owners of Tuk-Tuk cars are trying to persuade you to take a tour (from 45 – 60 euro for one hour), but a ride with ‘elétrico’ tram 28 will also bring you to most tourist attractions of Lisbon….and much cheaper (around 4 euro pp). 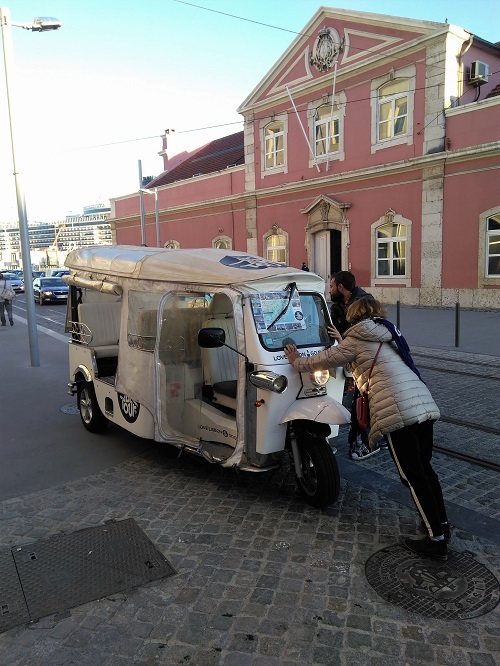 One of the advantages of the tuk-tuk cars in Lisbon is the possibility making trips with young and enthusiastic people, who speak several languages. 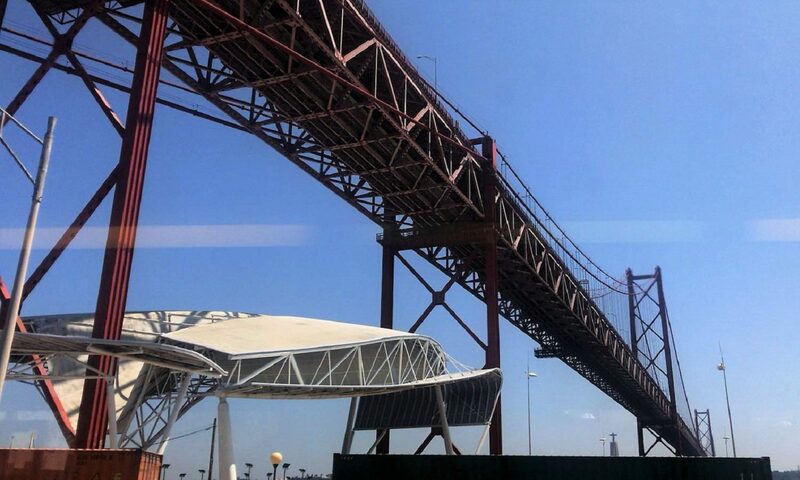 Most of them are especially trained to talk about the historic sites of Lisbon. Interesting article and nice photos. 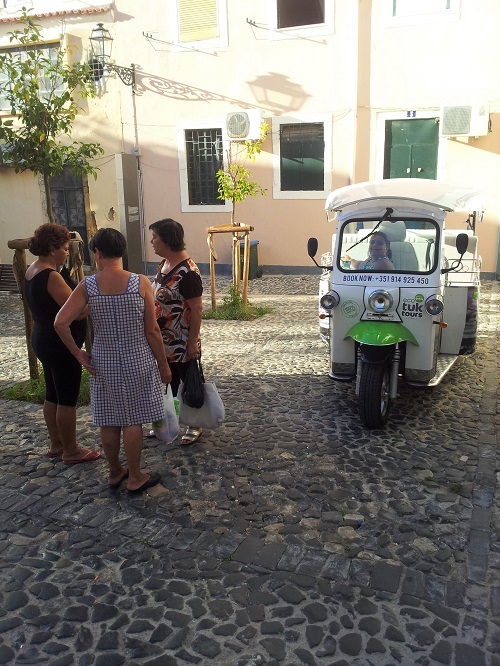 Those tuk-tuks are really everywhere! 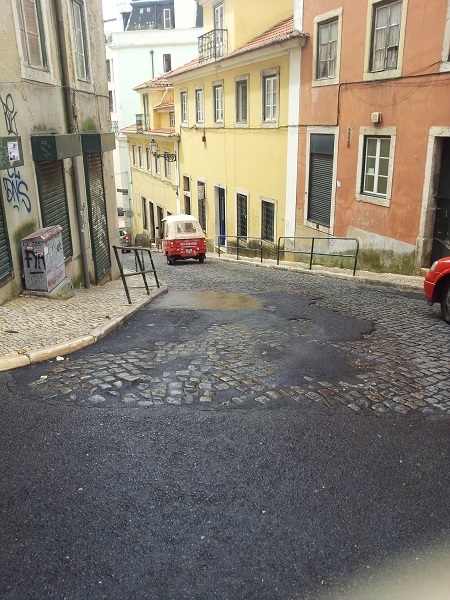 I personally thing that, as they are now, it’s just one of the many ways to help tourists destroy Lisbon.